Re-Design of their website, CMS Installation, Contact Form. We also install an online store for service purchase. 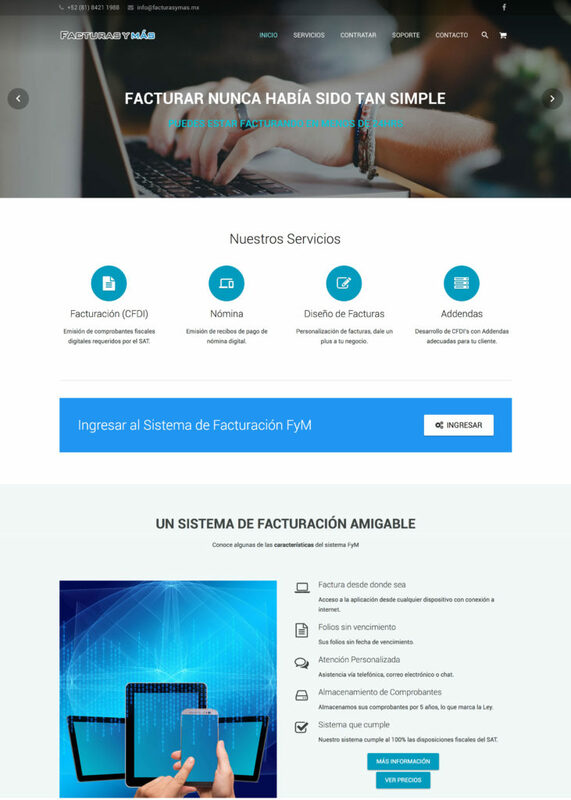 Facturas y Más is an online invoicing company in Monterrey México.